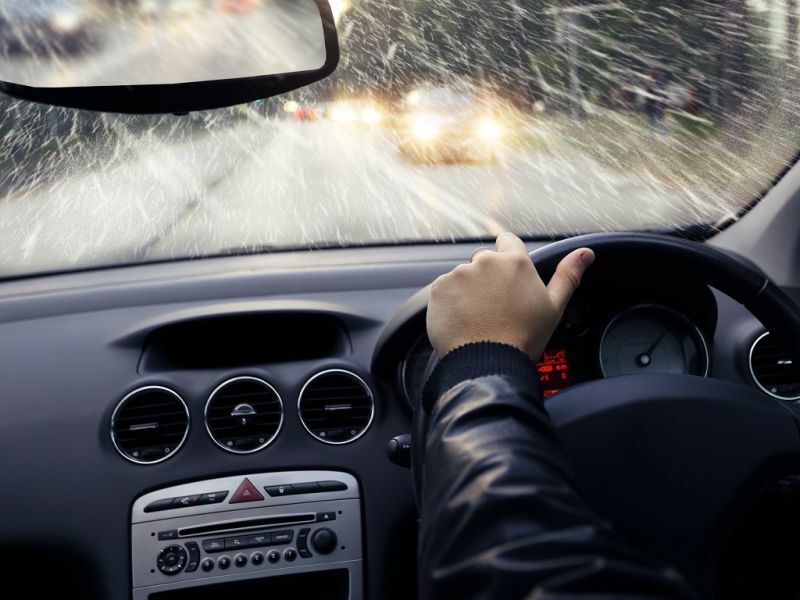 As we approach the busy Christmas period, it’s never been more appropriate to stress the importance of ensuring your eyes are ready for the winter roads. With the sun hanging lower in the sky, bright headlights frequenting traffic, and frost and snow reflecting light harshly into your line of sight, winter can be the most testing of times for drivers. Here are some things to consider before getting behind the wheel. You’ll find yourself making use of your car’s heater and air conditioning frequently during cold winter drives. Despite keeping frostbite at bay, the warm air being pumped into your car can increase tear evaporation, leading to a high risk of developing dry eye. Be sure to angle heating vents downwards to reduce the amount of air being blown directly into your eyes. It’s not only the heaters that can lead to this; high levels of concentration, a necessity while driving, can reduce the amount of times you blink - reducing eye hydration and ultimately leading to dry eye. Dry eye can cause glare and severely impair your vision while driving. If you are suffering from the condition, you can try preservative-free, artificial tear drops to treat and re-hydrate your eyes. Ask your optometrist for advice, which may also include using specially prepared wipes to keep your eyelids and lashes clean or a warm eye lid compress, and try to clean your eyes daily by gently washing them with a warm flannel. This should ease any itching or burning symptoms. The sun is significantly lower in the sky during the winter months and its presence, combined with frosted roads, can be a challenge for all of us. The risk of being dazzled when driving intensifies as the brightness of the sun is reflected and amplified by pure white snow and ice. Don’t forget to keep a pair of sunglasses in the car at all times. Use your sun visor and make sure that your windscreen is kept clean, both inside and outside, as dirt and greasy streaks on car windows can scatter light and lower visibility. If you are experiencing difficulty, visit your optician and see if a pair of anti-glare driving glasses, with ZEISS DriveSafe™ lenses, might help you. Cataracts develop most commonly as a result of age-related clouding of the lens of the eye and can cause glare from bright sunlight or headlights at night leading to difficulty when driving. Whilst it is rare for them to form in younger generations, it is possible and they can affect people of all ages, including babies. Depending on how advanced your cataracts are, you may need surgery to remove them. Don’t worry, as the procedure usually requires a simple local anaesthetic, with patients able to return home the same day. Regular eye tests are a sure way to spot the development of cataracts, and your optician will be able to advise you on the best course of action following diagnosis. It is imperative that you ensure your vision is road ready, as cataracts are a major cause of glare when faced with car headlights while driving. Only in advanced stages, or when they begin to seriously affect your vision, will you potentially require any surgery, with prescriptive driving glasses being an option for minor cases. With so much going on during the festive period, it’s far too easy to throw caution to the wind and prevent getting health problems checked. The buzzing excitement and optimism leading up to a Christmas family holiday can mask concerns and lead many to delay booking an eye check until the new year. To avoid putting yourself and others at risk, book an eye test today and place any niggling worries to rest. At Leightons our expert opticians can provide treatment and advice to anyone with concerns regarding eyecare. Call us on 0800 40 20 20, [book an appointment online] or visit your local branch.